1) MASTER YOUR NUMBERS: Know and understand your financials; create budget and cash flow forecasts; develop a business dashboard; learn to test and measure. 2) STREETWISE MARKETING: Develop a powerful USP and guarantee, learn how to define and communicate with your target market. Apply the ‘five ways’ profit formula and learn the ‘ladder of loyalty for great repeat business. 3) SALES MADE SIMPLE: Develop a sales process; use questions to improve your conversion rate; help others to buy from you; learn how to handle objections. 4) EFFICIENCY IS CRITICAL: Create systems so that your business does not depend solely on you. Systemise your delivery to improve customer retention. 5) TEAM & LEADERSHIP: How to find, recruit and retain the right staff. Recognise and develop the next generation of managers and leaders as well as your own leadership skills. 6) TIME IS PRECIOUS: Effective time management and discipline will allow you to work more productively. 7) SETTING GOALS: and intensive 90-day planning aimed to get you ready for the next 90 days. ActionCLUB is an education and coaching programme to help you build a strong business foundation and become a better business owner. The programme includes an initial one-hour assessment as well as a talent dynamics profile to learn where you play to your strengths. It is CPD-accredited and a course certificate is provided at the end. 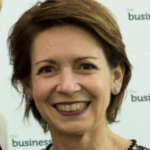 Daniela Grendene is an executive coach with 25 years’ experience who teaches directors about business results and making money. For more information on how they can help you and your organisation to reach the next level, visit www.actioncoach.co.uk.